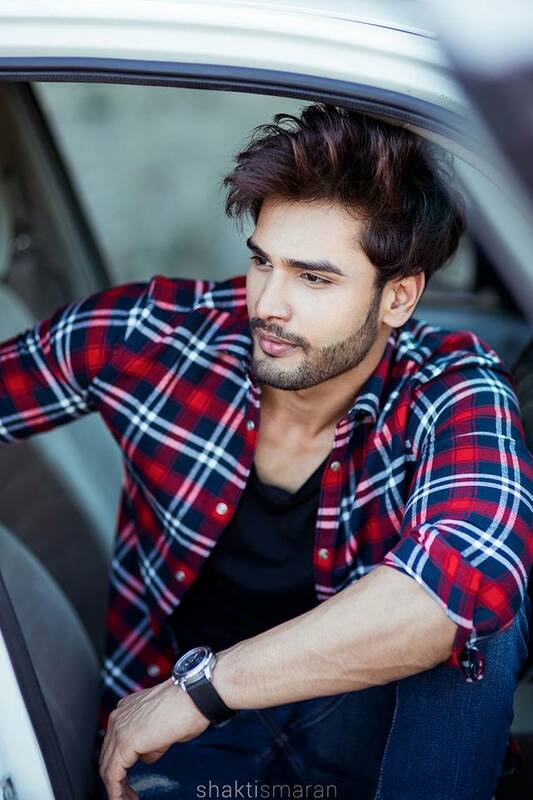 After making history by becoming the first Hyderabadi boy to be crowned Mr India in July 2015, there was no stopping Rohit Khandelwal, who did India proud by winning the coveted Mr World crown last year. With votes received online on http://www.itimes.com/polls, along with our vote, the 27-year-old ‘Badichowdi boy’ managed to pip a bevy of Tollywood heart-throbs to be voted as the Hyderabad Times Most Desirable Man 2016. In a chat with Hyderabad Times, Rohit shares his excitement. Excerpts. How does it feel to be the Most Desirable Man in India? (Smiles) I’m overwhelmed! Four years ago, I was a nobody. Not Mr India or Mr World. It amazes me every time I think of how my life has turned around in these past few years. It just goes to show that dreams do come true if you have the courage to follow your heart. So this Most Desirable title, comes as an icing on the cake. Very, very, very flattered. I want to thank all the Hyderabadis who have voted for me. It’s incredible to be in the same list that includes the most loved ‘Superheroes’ of Telugu cinema, many of whom I’ve grown up idolising. I think there are so many dudes who are a hell of a lot more desirable than I am. You know, there was time not very long ago when I was working in an IT company, weighing 90 kilos. So to be voted as the Most Desirable Man of the year is a huge achievement. Is there any word of advice for all those overweight men who dream of getting six-pack abs like yours? six-pack abs, but having the discipline to stick to that way of life. What spells ‘desirable’ to you? And in your opinion what makes you desirable? For starters I think it isn’t just about ‘good looks.’ Well, a lot of people tell me I come across as a very ‘charming boy,’ that I have sharp features, great hair etc. But there is an invisible X-factor that comes with being successful and that’s what gives you an edge. I think when a regular boy like me with no god father becomes Mr India and then goes on to win Mr World, it just goes to show anyone can. And it fills me with pride to hear youngsters come up to me and say, “You inspire us.” I think that’s desirable, the ability to inspire others to dream big and believe in themselves. Who do you think are the most Desirable Man and woman in the country and why? The Most Desirable Man has to be Shah Rukh Khan. He exudes passion, self belief and panache and yet he’s so humble and is a total family man. In short, the perfect role model for everybody to look up to. Among the ladies, I really admire Alia Bhatt. At a very young age she’s achieved so much. Her body of work is testimony to her incredible acting skills and the energy she brings with her is just infectious. What do you think makes a woman desirable? And what you look for in a woman? As far as physical features go, it would be the eyes. I believe desirability lies in the eyes of the beauty, not the beholder. You just need to look at the eyes to tell a woman of substance. I want a girl who’s grounded, humble, respectful and lives her life for others and is not self obsessed. In short, a girl next-door.